The same holds true for great voir dire questions asked during jury selection. How a question is asked dictates how it is answered: Skillful voir dire questions result from keen awareness of potential nuances, precise wording, intentional phrasing, and delivery. “Someone who files a formal discrimination complaint probably has a valid case” (48% agree nationally). Many of the same people, however, agreed that “People often claim discrimination when they don’t get what they want” (52%) and that “Poor performers are much more likely to complain of discrimination than good performers” (55%). The answers to those follow-up questions reveal different mindsets than the often-misleading answers to the primary questions, which can lead to mistaken judgments. Good follow-up questions yield important information, but are often unasked. Don’t be satisfied (or worried) too soon by the first answer you get. Research by Judge Gregory E. Mize (retired D.C. Superior Court trial judge and co-chair of the D.C. Jury Project) revealed that while 28% of prospective jurors in both civil and criminal cases failed to respond affirmatively to questions in open court, 10% of those “silent ones” in civil cases and 17.5% in criminal cases later revealed biases that yielded a cause strike in follow-up individual interviews. Posed in the proper environment, follow-up questions are indispensable tools to provide a basis for cause strikes. The more cause strikes you achieve, the better use you can make of peremptory challenges to avoid undesirable jurors. Without such measures, biased jurors end up on the jury. Skilled investigators know that closed-ended questioning (e.g., “When did you leave the bar?”) yields 85% less information than “free-format” interviews using open-ended questions (e.g., “Tell me what you did that night?”), which allow the respondent to recall and report more through free association. If given the time and space to do so without interruption, people reveal important information. The tendency is to jump on a worrisome or interesting answer. However, better listening may provide more clues to people’s character, motives, biases, and experiences. Reserve questions to learn specific information. Establish rapport, especially with unfavorable jurors. 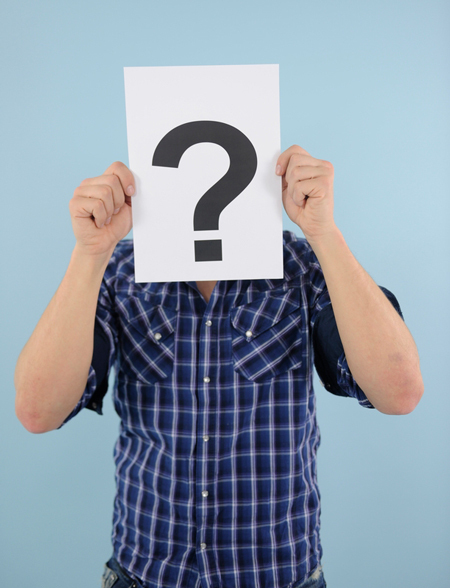 Make it easy for them to reveal why they are not good jurors for your client. It is a win-win situation: You will have a clearer basis to strike them or, if they end up on the jury, you will benefit from sharing a positive exchange with them. Make jurors feel that it’s safe to talk. Beware of putting jurors on the spot or not protecting their privacy in open court, which makes them feel self-protective. Leave them room to talk. “Take a beat,” a phrase borrowed from the stage, means to leave a moment’s silence after the other person answers in case they have something to add. The best information often comes out as an afterthought once a juror ponders a bit. Don’t move on too quickly. Following a strict list of questions removes the spontaneity of “conversation” with potential jurors, suppresses their potential disclosures, and creates a deposition-like atmosphere that sends the message: “Just tell me what I asked and nothing more.” This is counterproductive. Reserve scripted questions to learn critical, specific information. Whether due to a hidden agenda to remain on the jury or out of discomfort in revealing it, some jurors attempt to conceal bias. Stealth enemies are critical to ferret out. Invite and cajole the jurors. Make it acceptable for them to expose their bias. To hone your skills at getting at the truth, read about investigative techniques to detecting lies and deceit. It takes two people to learn the truth: one to tell it and one to listen and make it safe for them to tell it. Inquiring lawyers must make prospective jurors feel safe to reveal the truth. This is the first in a series of five posts on jury selection and trial consultants. Other parts are linked here: Part 1, Part 2, Part 3, Part 4 & Part 5. Free download: A litigator's guide to jury consulting and trial consulting techniques.